Unfortunately, in some cases, a root canal may not be enough to save a tooth. In this case, we recommend endodontics surgery or an apicoectomy. Because of the potential complexity of the canals of your teeth, this surgery can sometimes show us fractures that we weren’t able to see during our initial treatment. This surgery can also be used to treat root surfaces that surround bone around the tooth. When will I need endodontic surgery? Surgery can help in many different situations. 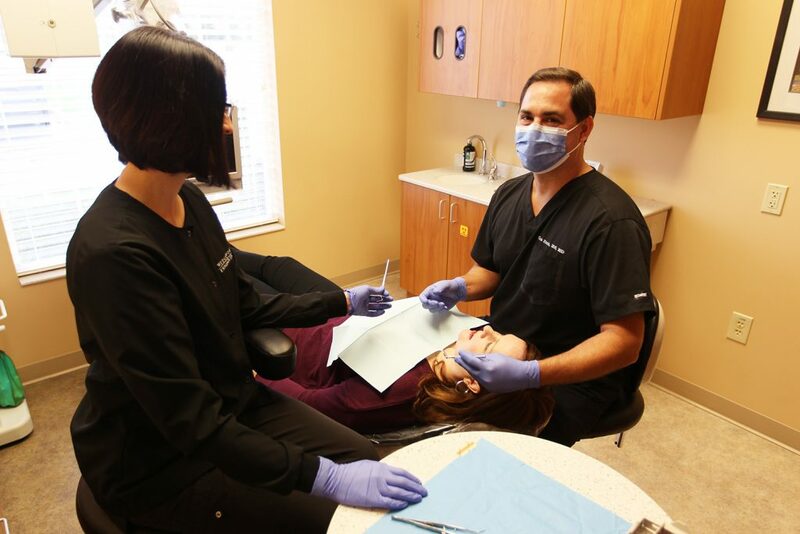 If you have had root canal treatment or retreatment and your symptoms are not going away, you may need surgery. This will help us to better find and treat the problem. In some cases, calcium buildups and deposits can make your canal too narrow for normal root canal treatments. An apicoectomy involves opening up the gum tissue near your tooth. This will help us to better observe the underlying bone and remove and inflamed, infected, or damaged tissue in the area. We will also remove the end of the root. To prepare for your surgery, we will likely take X-rays of your damaged tooth and the bone surrounding it. We will review your medical history and make sure that this is the right course of action for you. If you have had root canal treatment but are still experiencing additional pain and problems, an apicoectomy may be the best course of action for you. If you are unsure or think that there may be something wrong with your tooth, come see us today for a consultation.